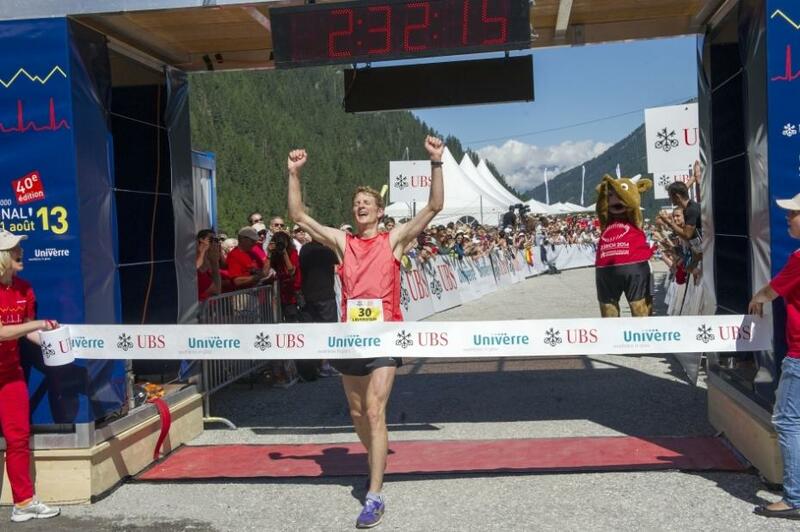 Marc Lauenstein is a former elite orienteer and, today, a successful trail runner. We wanted to learn more about him an about his way from orienteering to trail running. It’s 6.00 am. Most people are either still lying in bed or they have just gotten up, still a bit sleepy. Not Marc Lauenstein! He is already dressed for his morning training and ready to start what, for many people, would make a day trip. The 37-year-old Swiss Romand is a dentist and needs to be ready for work at 8.00 am. Before that, however, like most mornings, he wants to run the 800 metres of climb up to Col de la Tourne, from where he is going to ride the postbus down to work. A real early bird, one might think. But, according to Marc himself, he is not a morning person at all. He sometimes really has to overcome his inner temptations and to force himself to do those early morning sessions. However, once he is doing them, he never regrets it. Marc Lauenstein is fond of training and of movement, this becomes apparent immediately. Especially interesting about his story: the joy he finds in running today is different from the one he experienced as an active elite orienteer. Nevertheless, this very orienteering career has been of major importance for his later successes as a trail runner today. Marc got in contact with running very early on, since his family had been doing orienteering for years. At the age of 10, he started to compete individually. At first, however, he did not focus on orienteering specifically, but he did many different kinds of sports. He only started training seriously for orienteering when he was 16 years old. Marc made progress quickly and in 2003, at the age of 22, he took part in his first world championships. He had his breakthrough two years later, winning the silver medal in the long distance at the world champs in Japan in 2005. He was able to confirm this silver medal with another silver in the Long at the world champs in Denmark in 2006. These successes, however, were followed by a couple of tougher years. In the individual races at the world championships, the most important event of the season, he could never quite live up to his high expectations. It was not until 2011 and 2012, his last two years as an elite orienteer, that he made it into the top 10 at the world champs again. For the first three months after having finished his career, Marc didn’t do any training during the working week and he only trained on the weekends. However, he didn’t feel good that way and he soon realised this doesn’t work for him. He feels the need to move and to stay fit. In order for this to happen, he needs goals. They provide him with the motivation to conduct the training during his already very crammed weekly programmes. Apart from his extraordinary endurance, Marc had always been known for his strength in uphills, already as an orienteer. He therefore decided to start training more seriously for trail running. The fact that Salomon supported him for this project was an additional motivation for him. 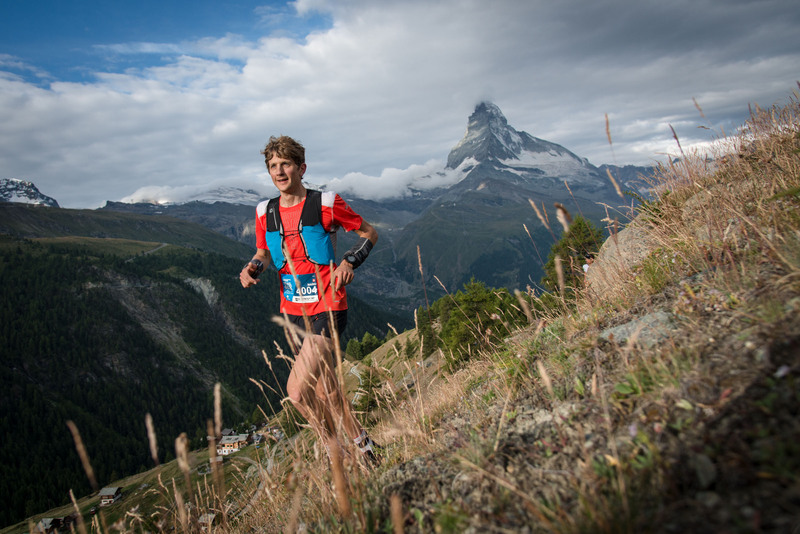 Two of his biggest successes in trail running so far are his victories in the Sierre-Zinal 2013 and in the Marathon du Mont-Blanc 2015. Competitions are the goals which keep him motivated. In this respect, not much has changed compared to the former top orienteer. The comparison between Marc as an orienteer and Marc as a trail runner is interesting for several reasons. For example, in trail running, Marc today profits from the polyvalence acquired in orienteering. He does neither fear steep climbs or descents, nor very rough underground. This ability to handle a wide range of different conditions is a big advantage. 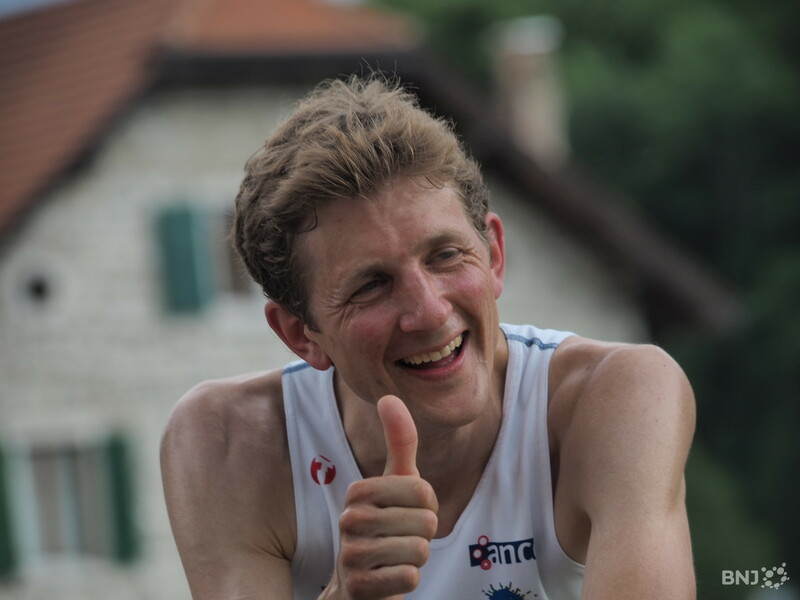 Furthermore, the many hours of training he collected during his time as an elite orienteer provide an ideal basis for his training as a trail runner. Furthermore, Marc knows a lot about running, since this was constituted the major part of his training already as an orienteer. Back then, he also trained with a track and field club, in order to improve his speed and competition hardness. “I draw on those training sessions to this day”, Marc says. “They gave me a solid physical basis and they taught me to push my limits”. Given the fact that he is still able to run fast over long distances without huge training loads, this guy must be blessed with a special talent for endurance sports. “I think I might have been a bit lucky with my genes”, he smirks, almost apologetically. Marc Lauenstein still takes part in orienteering competitions on a regular basis. If he compares his performances in the past with the ones today, he notices considerable changes. Although he doesn’t train as much as he did back then and although sports has a lower priority for him today, his performances are often just as good, if not better. Marc has the following explanation for this: “Due to the great amount of purposeful training, I sometimes felt rather empty, both physically and mentally, so that I lacked the energy to perform at the best of my abilities on day X.” Today, he faces competitions rather relaxed and he just looks forward to the challenge, without thinking too much about the result. He is a little surprised himself, how good the results turn out this way. This ease is probably what gives him so much joy in sports even today. A reduced amount of training, less pressure and more energy for competitions: no surprise that his motivation is high! Rather indicative of this is the fact that Marc Lauenstein took his silver medal at the word championships 2006 between the written and the oral final exams of his dentistry studies. His studies had always been important for him and he had worked for them with great interest and conscientiousness. In 2006, he laid his main focus on his studies – and performed at his very best in sports. When he later started a life as a professional orienteer, he suddenly struggled to show his full potential. It seems as if the life as a professional simply didn’t suit Marc. Maybe, the focus on work and family he has today helps him to perform as he wishes again. As already mentioned, Marc runs up to Col de la Tourne before work on most mornings. Although he runs the same course every time, he does not get bored. “I can, for example, enjoy the different seasons and see how the landscape changes”, he explains. This training takes 1h 10min in average, wherof 20min are in the flat and 50min uphill. He often plays with the pace and runs, for example, 30min fast in one go or he inserts an interval session (e.g. 10x 3min). Today, the percentages of high-intensity training time in Marc’s training are generally higher than before. Quality sessions make up for reduced quantity. 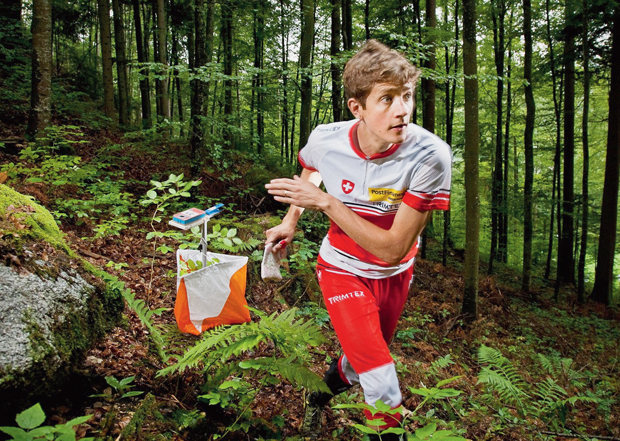 On Tuesday evenings, he trains intervals with the youth orienteering squad of Neuenburg. As opposed to earlier years, Marc now deliberately picks the trainings he enjoys and leaves aside the ones he dislikes – strength training, for example. In his orienteering training, strength training was rather important, but today, he refrains from it completely. However, slowly but surely, he starts to notice a lack in stability and he admits that especially the resumption of core strength training would be sensible. Due to the early starting time for his morning sessions, he mostly trains on his own. He really appreciates it when he gets accompanied by his brother or Baptiste Rollier, another former elite orienteer, for a change. 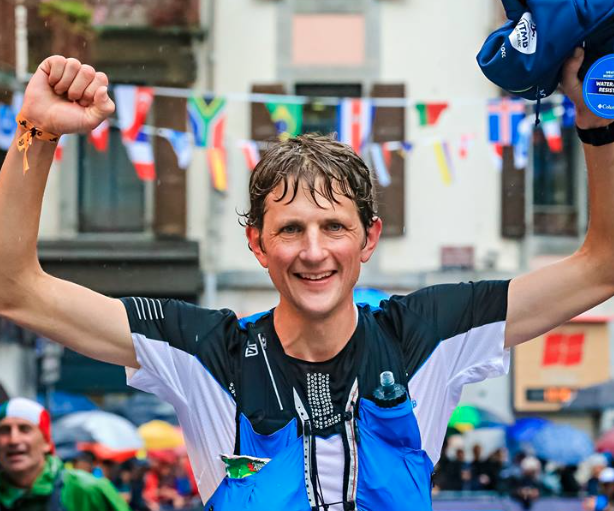 A few days ago, the 37-year-old celebrated his first trail running victory of the season at the Trail de Mont Ventoux. This race usually marks the start of the trail running season. It is a first test for Marc’s shape and shows him what needs to be done until the next competitions. Obviously, the start was successful and he seems to have done everything right so far. The big goal of the season for Marc are the races in the Golden Trail Series. This series consists of 5 separate races: the Zegama-Aizkorri marathon (ESP), the Mont-Blanc marathon(FRA), the race Sierre-Zinal (SUI), the Pikes Peak marathon (USA) and the Ring of Steall Skyrace (SCO). The top 10 runners in the total standing after all 5 races will be invited to the final race Otter Trail in South Africa. Marc belongs to the top favourites! We wish Marc all the best for the Golden Trail Series and lots of fun with running in the future!